On the Cover: This research reports the existence of a molecular structure – formed by stacking atomically thin layers of two compounds, molybdenum sulfide and rhenium sulfide – whose semiconducting properties differ from most similar dual-layered configurations. Author: Bellus, Matthew Z; Li, Ming; Lane, Samuel D.; Ceballos, Frank; Cui, Qiannan; Zheng, Xiao Cheng; and Zhao, Hui. 2017. Type-I van der Waals heterostructure formed by MoS2 and ReS2 monolayers. 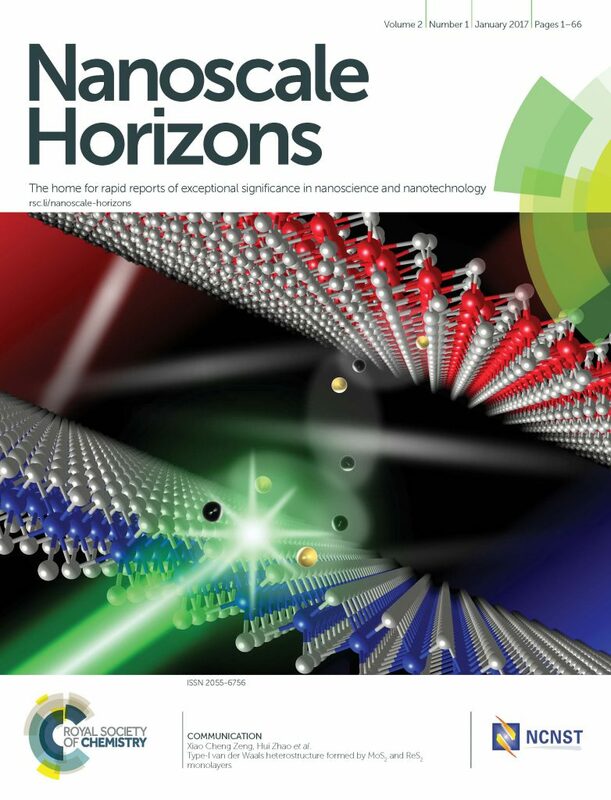 Nanoscale Horiz., 2017,2, 31-36. doi: 10.1039/C6NH00144K. Xiao Cheng Zheng is Chancellor’s University and Willa Cather Professor of Chemistry.